Cholera Bed Frame is made of Mild Steel Tube. The base of the Cholera bed is made of Nylon Backing With Provision of Hole in the Middle. It is foldable and light in weight . There is a provision of IV rod. It comes with Plastic Sanitary Bucket. The carrying capacity of the bed is 120kg. Product Size: L 180 x W 60 x H 55 cms. 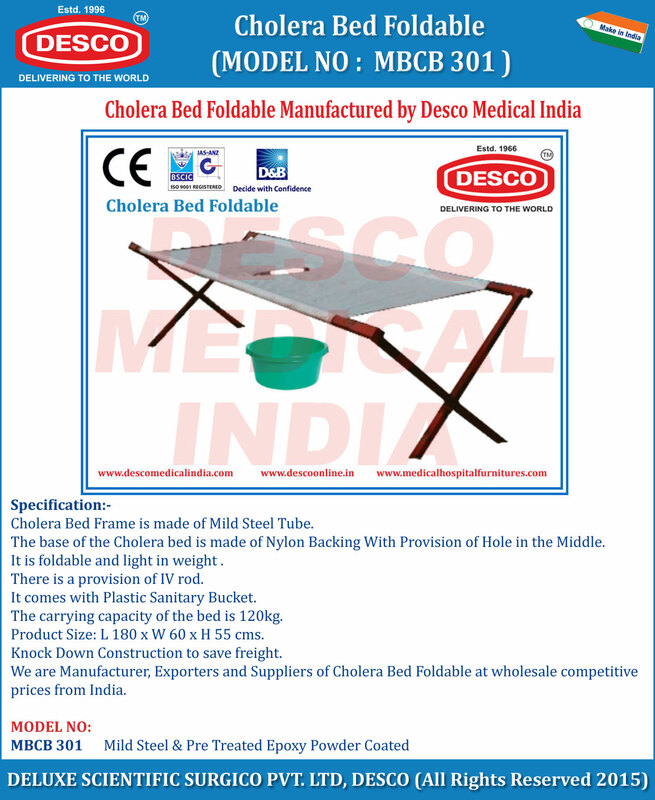 We are Manufacturer, Exporters and Suppliers of Cholera Bed Foldable at wholesale competitive prices from India.